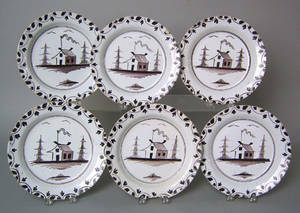 Pennsylvania hooked rug, early 20th c.
Set of six Delft plates, ca. 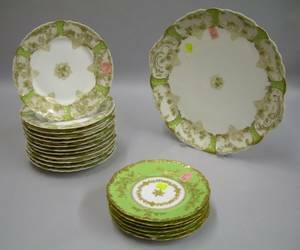 1750 , with manganese landscape and floral border, 9 1/4" dia. 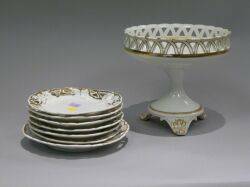 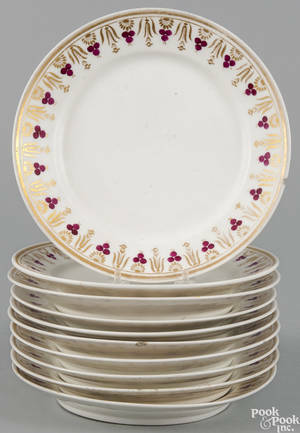 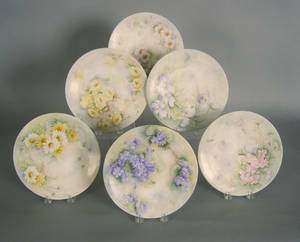 Set of Twelve Haviland Limoges Porcelain Plates and a Platter and a Set of Six Limoges Plates. 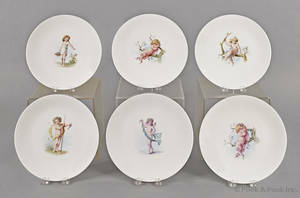 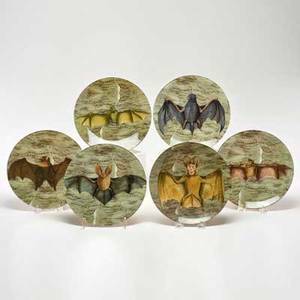 John derian; set of six porcelain plates decorated with bats, late 20th c.; artist signed; 8 1/4"
French Porcelain Compote and Set of Six Fruit Plates.